A patented Phenol vapouriser in the form of a stand containing a kerosene lamp with a shallow metal evaporator held above the flame. Liquid evaporated is 97% pure Phenol. There are several examples from history of medical instruments that claimed to cure a plethora of ailments. 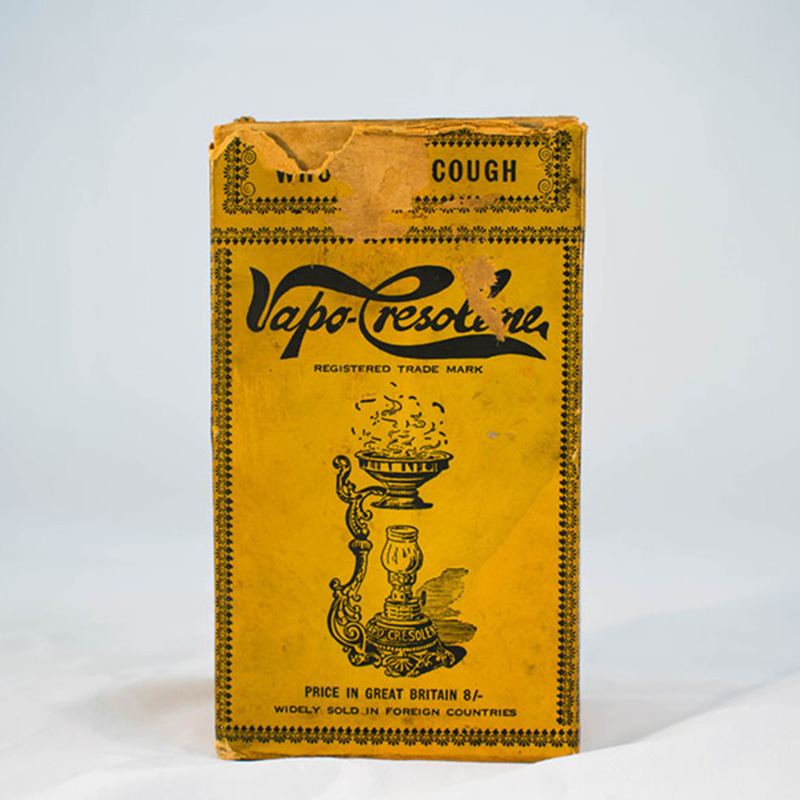 One such instrument was the Vapo-Cresolene Spirit Lamp. 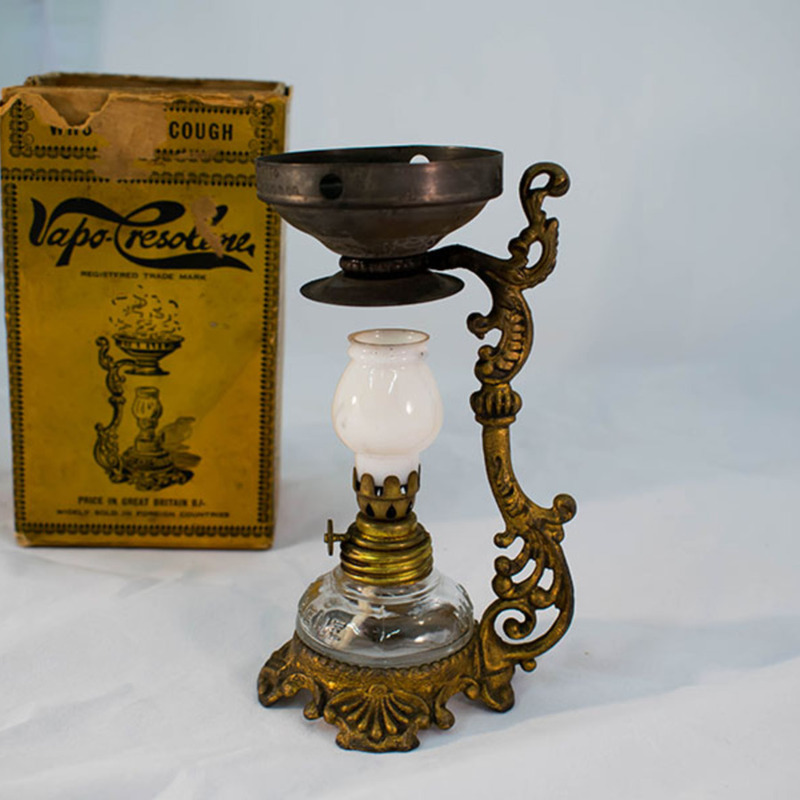 To treat a variety of respiratory disorders, including asthma and bronchitis, one would light the lamp filled with kerosene and place it under the vaporiser cup. The cup would then be filled with cresolene, which would gradually be vaporised into the surrounding atmosphere. Many lamps were sold and can often be found as ornamental pieces in homes. 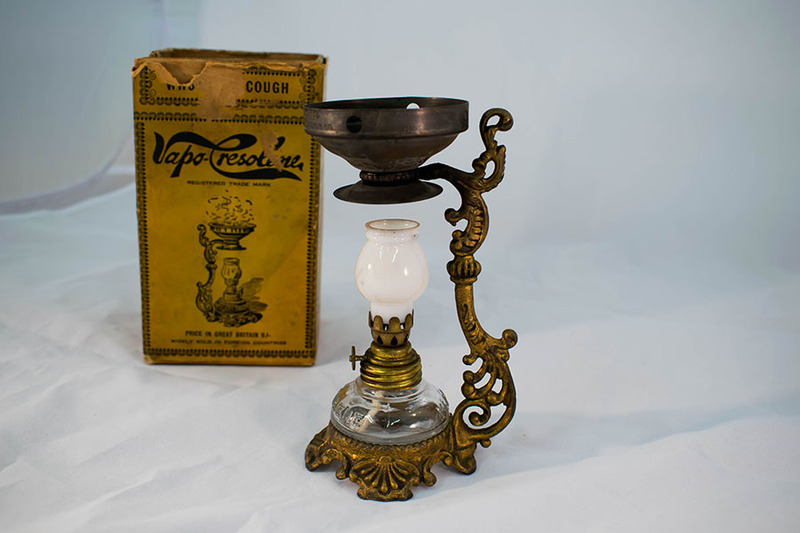 Vapo-Cresolene Company, “Vapo-Cresolene Spirit Lamp,” Heritage, accessed April 23, 2019, https://heritage.rcpsg.ac.uk/items/show/52. Description: A patented Phenol vapouriser in the form of a stand containing a kerosene lamp with a shallow metal evaporator held above the flame. Liquid evaporated is 97% pure Phenol. There are several examples from history of medical instruments that claimed to cure a plethora of ailments. 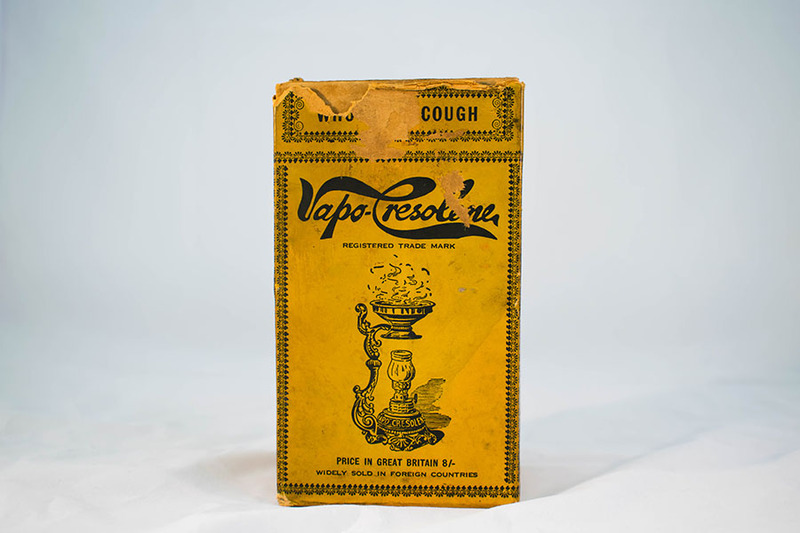 One such instrument was the Vapo-Cresolene Spirit Lamp. 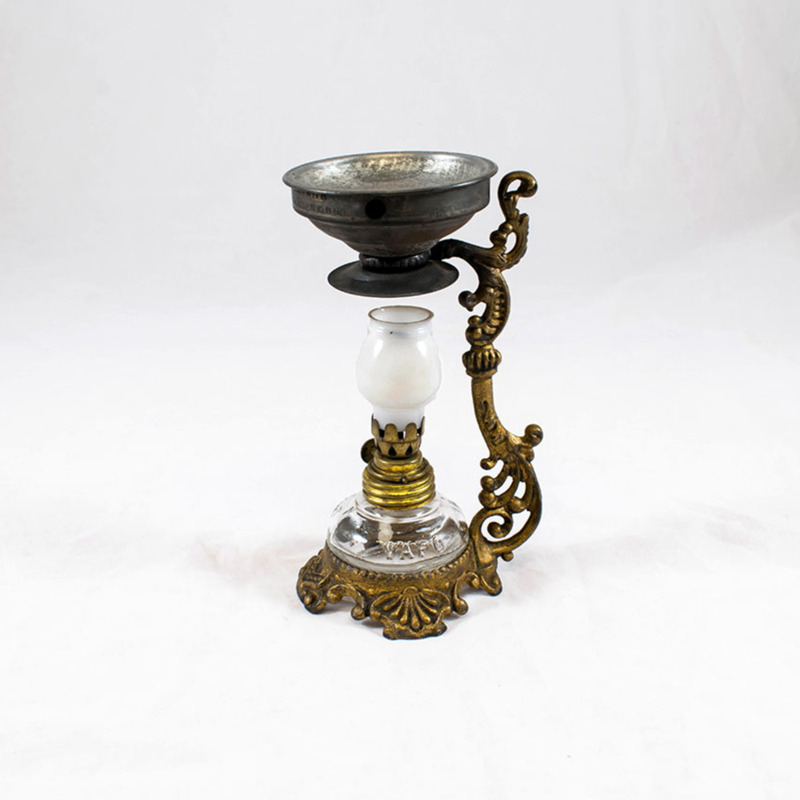 To treat a variety of respiratory disorders, including asthma and bronchitis, one would light the lamp filled with kerosene and place it under the vaporiser cup. The cup would then be filled with cresolene, which would gradually be vaporised into the surrounding atmosphere. Many lamps were sold and can often be found as ornamental pieces in homes.